Baxi-approved installers in the Midlands, who are thinking of taking on an apprentice in 2019 are being invited by Baxi to put forward candidates for the chance to gain a whole host of benefits, including full funding of their new apprentice’s college fees. 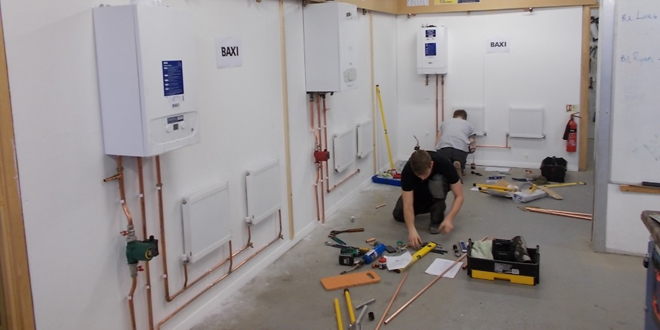 The Baxi Apprentice Scheme is designed to offer Baxi Approved installers, who want to employ an apprentice, support, in addition to providing a great start for the apprentice. As well as Baxi paying their college fees (with BMet College, Birmingham), successful applicants will be given workwear branded with their company and Baxi’s logo, PPE, complementary Baxi training, work experience with a Baxi engineer, and a Baxi factory tour. To take advantage, installers must act quickly as the closing date for applications is 31st January 2019. For those who would like an apprentice but don’t already have anyone specific in mind, Baxi will be helping to place successful apprentices with willing employers where possible. Steve Owen, National Training Manager at Baxi, said: “If you are a Midlands-based installer who is thinking of taking someone on who would like to study for a Gas Engineering apprenticeship, there is no better time to take the plunge and employ an apprentice. After the closing date for applications, an assessment centre will be held in February 2019. Successful candidates will be invited for interviews in April 2019 and offers will be made in June 2019. The course will start in September 2019.